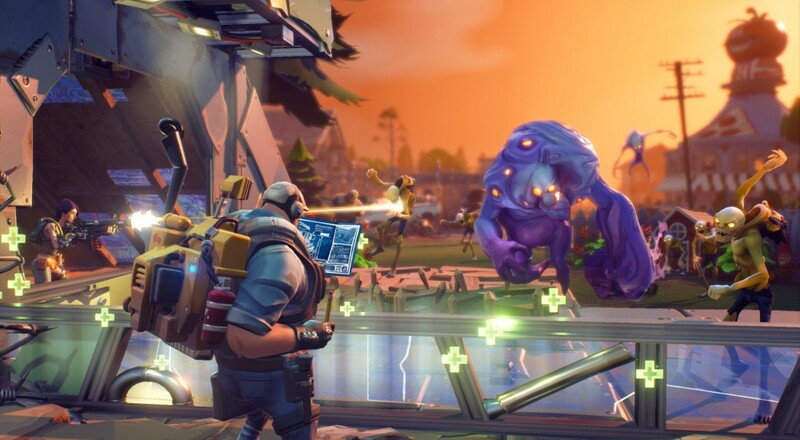 After first getting teased six years ago, many wondered if Epic's Fortnite would actually ever see the light of day or if it would just go down as an experiment for the developer. Well, it seems the former will finally come true and more than just a select handful of folks will be able to get their hands on the title next month. The core conceit to Fortnite, if you've understandably forgotten what this game is even about, is that you and up to three of your best (online) co-op buddies will team up to fight off hordes of enemies at night, and scavenge for materials to build a killer fort during the day. It's part Minecraft, part third-person action shooter, and part tower defense ala Orcs Must Die!. Mix in some loot and you're all set. The concept was very promising when it was first revealed all those years ago, and after this much development, we're hopeful that it's been refined to razor sharp edge... cause it kind of needs to be at this point. Fortnite will enter an Early Access state on PC/Mac, PlayStation 4, and Xbox One next month on July 25. While the plan is for the game to go free-to-play in 2018, if you want to get in on the action in July, you'll need to snag one of the Founder's Packs, which range from $40 for the Standard Edition to $150 for the Limited Edition.